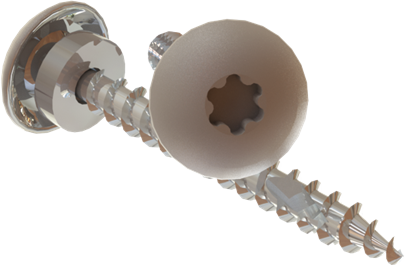 The Steel Siding Screw™ is an ideal interior and exterior screw. This screw makes all your projects easier with the drawdown strength of the head and the clean finish. Dome Head, Powder coated WHITE with rim and grey EPDM rubber washer. 10 X 1-1/2" COMING SOON !